It takes a lot to turn a lead into a customer: multiple interactions on multiple channels, good third-party coverage and reviews, a solid sales team, and much more. So it can be daunting as a marketer to try to build lead nurturing that has a significant, measurable impact on the process. 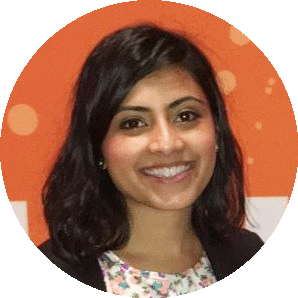 At HubSpot, we take a holistic approach to lead nurturing that spans across different channels and stages in the buyer's journey. 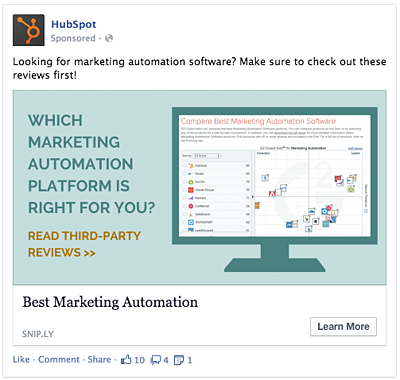 Marketing automation is our most powerful channel for lead nurturing, because email is a 1-on-1 interaction and can be highly personalized based on contact properties in HubSpot. It also works in our favor it's the longest-lasting form of engagement – an email is forever unless deleted, whereas a tweet lasts mere minutes. However, it is important to leverage other channels leads visit, such as your website, social media, and other websites; the more touchpoints you can create for your content, the more likely your lead will be to move further down the funnel towards becoming a customer. In this post, I'll walk through our different lead-nurturing categories and the tools we use for each type. Please note: HubSpot's Workflows App is available to HubSpot Professional and Enterprise customers. The goal of new lead nurturing is to educate new leads about your brand and product while providing them with content that will help them do their job better. Earning your lead’s attention is paramount to successfully moving them down the buyer’s journey and turning them into marketing qualified leads (MQLs) and opportunities (the point at which they have connected with sales). The reason for this second goal is that sometimes a lead can skip the MQL stage and talk to a rep after being influenced by new lead nurturing. At this stage, someone is still new to your brand, solutions, and even way of thinking. We send a combination of content aligned with the awareness and consideration stages of the buyer's journey, with each email having a different goal. These goals include introducing concepts integral to our products such as inbound marketing, establishing ourselves as a thought leader in the space, gaining trust and credibility as a major player in the industry, and introducing our brand and solutions for consideration. Prescriptive content: blog posts, templates, and guides that help leads learn a specific skill or solve a specific problem related to their day-to-day job. This helps leads do their job better, which builds trust and creates positive relationships with our brand. 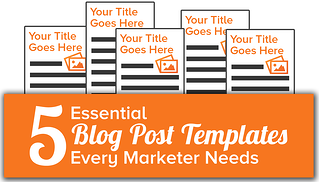 A popular offer we've recently produced that fits in this category is 5 Essential Blog Post Templates Every Marketer Needs. Thought-leadership content: blog posts, podcasts, external articles, and longform pieces that focus on high-level concepts such as growth and innovation. This increases brand perception and value. A great example is our new Growth Show podcast hosted by HubSpot CMO MIke Volpe and featuring business innovators such as Guy Kawasaki. Brand and product content: high-level brand and product-centric blog posts, Slideshares, case studies, and third-party articles and customer reviews. This way leads are associating us with not just our helpful content but also our company's brand and solutions. It allows us to showcase benefits and gain trust because we are not tooting our own horn -- we're providing data and social proof. 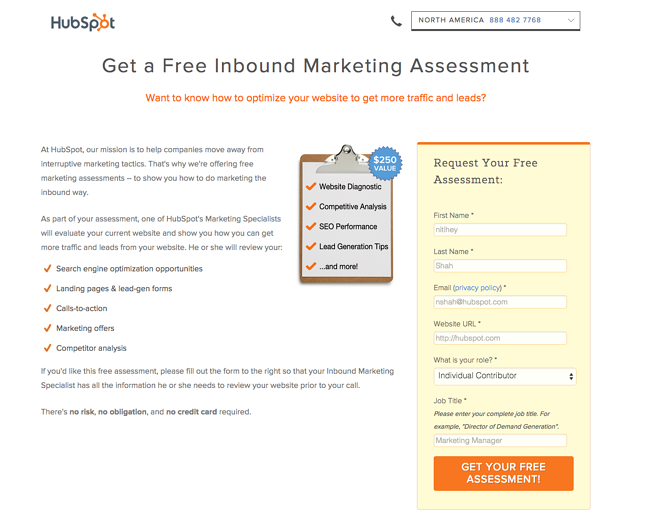 MQLs: sales-ready offers such as inbound marketing assessments and demos, trials, and contact sales. These offers are further into the new lead nurturing cycle, after establishing ourselves and presenting a clear link between the lead's pain points and how our solutions can solve them. We use a few different channels to distribute this targeted content, primarily email workflows with supplementary channels such as social media, paid retargeting, and smart content and smart CTAs on our website. 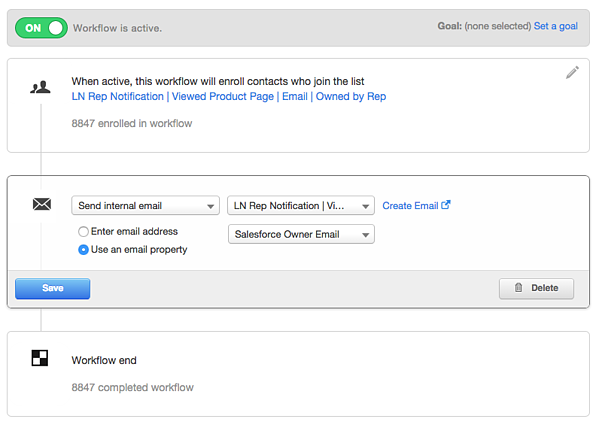 At HubSpot, we’ve set up parallel workflows in HubSpot's Workflows App for new leads. Each workflow is designed with a specific HubSpot persona in mind, so that there is maximum relevance and chance of conversion into a marketing qualified lead or opportunity. Once someone converts on a form, they are pulled into one of these workflows based on the information they’ve provided to us in the form. OUr workflows are first separated out by region, which is a good rule of thumb for any global company – different areas may have different needs or need to be spoken to in different ways. For example, we have separate email nurturing for leads in North America, English-speaking European countries, and Germany. Within each region, there are different personas that need different content and positioning. Therefore, we create workflows for each major persona, such as Agency Annie and Corporate Cathy. Even though we have one platform, each persona would need to use it in a different way, and that means we need different content to engage them. A non-profit would have no use for a sales Service Level Agreement template, and an agency would be more interested in the ROI of HubSpot in relation to its clients than itself. If you don’t send leads content that is useful for their specific use case, they’ll lose interest and stop paying attention to your emails. Marketing managers are most likely to be interested in content that helps them better organize their team and gives them tactical advice in improving a certain area. On the other hand, C-levels are concerned with more big picture aspects such as hiring, marketing innovation, and sales and marketing alignment. Then you have interns and students, who are of course in no position to buy our products, but are still important to our business model -- we want to send them educational content to get inbound buy-in, so that down the line when they are full-time marketers, they will think of HubSpot first and foremost when looking for solutions. To give you an idea, since we've set up parallel workflows for all these roles within each persona, there are roughly 10-15 workflows for just new lead nurturing live at any time. Taking the time to create unique workflows can greatly increase your workflow conversions. The question often arises -- why use separate workflows and not just branching logic in one master workflow to separate these personas out? You technically could, but it would become large and unwieldy. That's because you'd have branches within branches within branches (branchception, anyone? 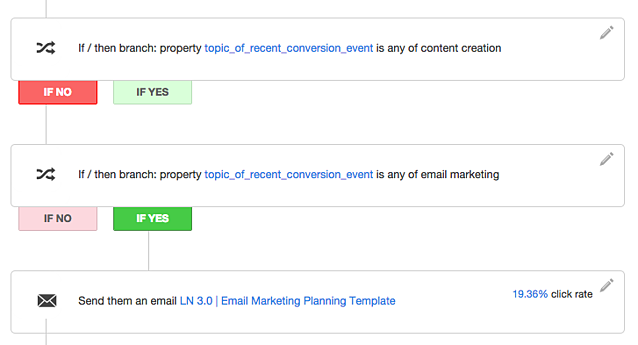 ), and that's not even counting further segmentation based on lists, contact properties, events, and the like. The chances of missing something or accidentally deleting a portion of the workflow are high the more levels of branching you add. We use limited branching logic within each role-specific persona workflow to segment the experience further for each subgroup. The first of these is setting up different branches based on a lead's topic of recent conversion. Again, relevance is key, so we're aiming to show them a piece of content most closely related to what they converted on to ensure maximum engagement. We found that segmenting by the topic of recent conversion was more effective than any other contact property once you get down to the role level. Another way we use branching logic include simple yes/no branches based on whether leads clicks a link in a specific email towards the end of the sequence, such as one for a demo. 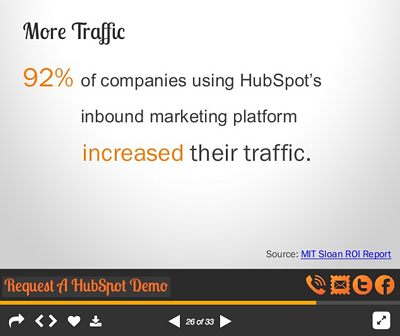 If they do click on the demo CTA but then don't convert on the landing page, we know that there's a mismatch in positioning on the landing page and can 1) send a follow-up email with just a simple call-to-action to email us back and 2) send their assigned sales rep an internal notification to follow up. We stay away from creating strictly drip campaigns, as these are based on yes/no logic of an action your lead takes, which is unnecessarily complicated. Instead, we set an ultimate goal list and use each step of the workflow to move someone towards this goal. When in doubt, keep it simple! We use various channels to support email nurturing, using similar content to help achieve the end goal of an MQL conversion. These include paid retargeting on social media channels such as Facebook and Twitter as well as display, monitoring specific segmented social media streams and interacting 1-on-1 with these leads, and setting up smart CTAs that show a customized call-to-action to each persona whose lifecycle stage is equal to "lead". The idea is that the more touchpoints we cover, the more ways we have to move leads down the funnel. We monitor a handful of high-priority Smart Lists of leads narrowed down by persona, role, contact properties such as lead score and topic of recent conversion, and certain keywords. We can monitor the contacts in these Smart Lists in Social Inbox. 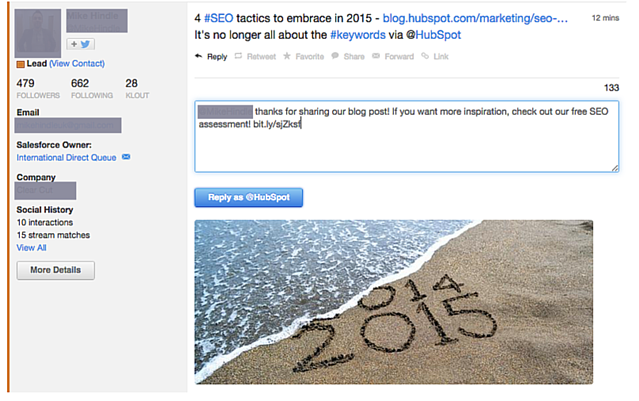 When a lead tweets something related to our content, we respond with a next step -- whether an offer or MQL. The rule of thumb, as with all things, is to use good judgment. We want to move people down the funnel by being helpful, not pushy. Our website is also optimized with smart CTAs so that new leads see calls-to-action that tie in with the overall lead nurturing campaign. For example, we show new leads a CTA for our free trial on our product pages or an MQL that ties in with the topic on a blog post, but show MQLs a CTA to case studies to move them further down the funnel. 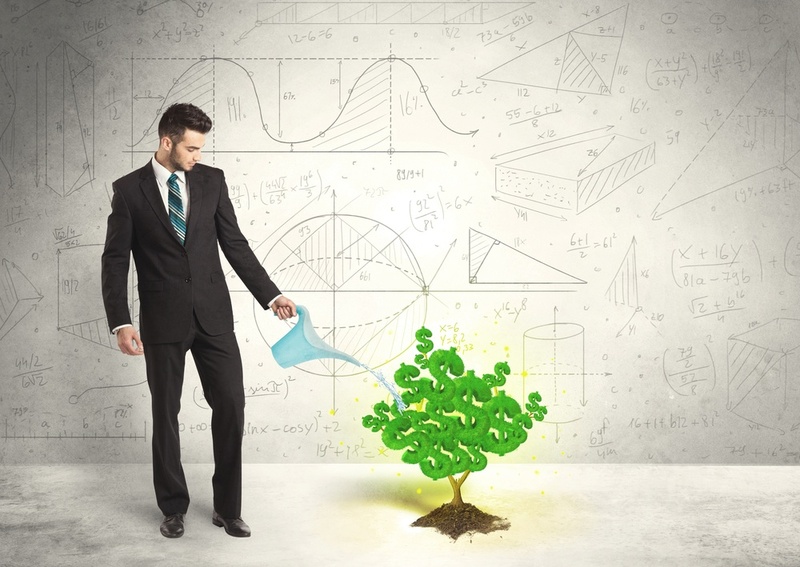 If a lead doesn't convert into an MQL or connects with sales after going through new lead nurturing, it doesn't mean that they're never going to buy. We understand that some leads need more information, or more time -- they may have more levels to go through to get approval, or perhaps signing on with a new solutions provider wasn't in the budget until two quarters down the line. 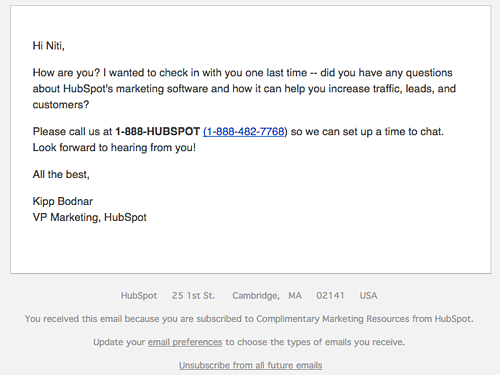 Our goal here is two-fold: stay top-of-mind for when they are ready to evaluate HubSpot, and enable our sales team to connect with these leads in a timely manner. To continue to engage these MOFU leads, we send them one-off emails with new and evergreen offers such as ebooks, templates, and stock photos. 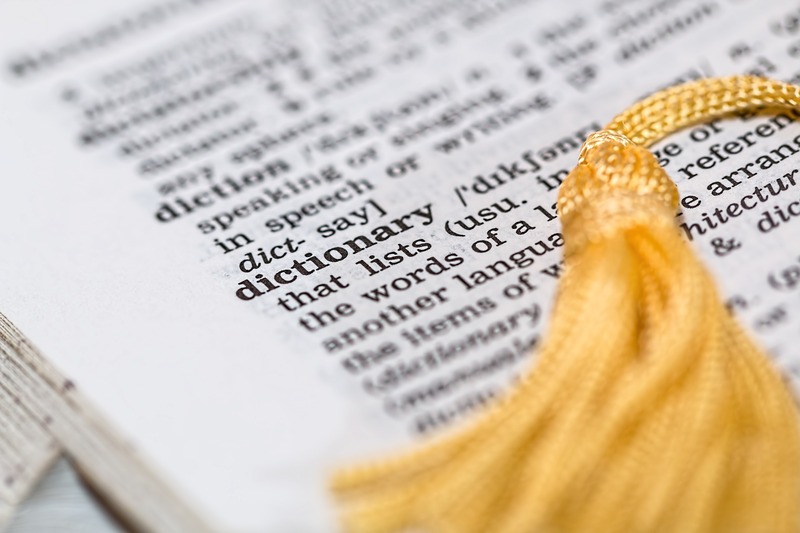 We also will send periodic topic-specific MQLs, such as an SEO Assessment. We want to continue to be a valuable resource of free, actionable inbound marketing content that helps leads do their jobs better. We also promote case studies, third party articles and reviews (such as customer reviews of HubSpot on G2Crowd) on social media and through paid retargeting -- this keeps HubSpot as a product (rather than HubSpot as a content source) top-of-mind even when leads aren't on our site pages and landing pages, and influences leads' decision to check out HubSpot's website and products. Hearing about how HubSpot worked directly from customers via case studies and customer reviews, or reading a report by a third-party analyst that ranks HubSpot as #1 in marketing automation further validate why we should be in the running when it comes time to evaluate solutions. 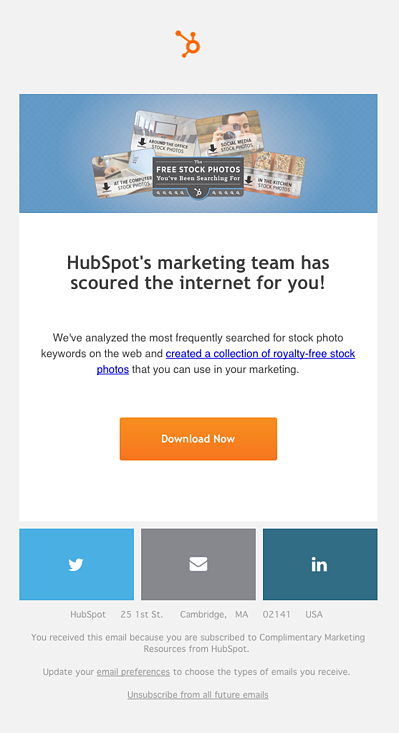 I've been asked why we don't show content like this in emails post-new-lead-nurturing. The reason for this is that if leads didn't take a marketing qualified action or connect with sales during that initial window, there are a myriad of reasons they are stalling. Without all the information, we cannot continue to only push them down the evaluation path with product-centric content. Email is one of our most valuable 1-on-1 communication channels. If leads feel that the content we send isn't helpful or of interest to them because they aren't ready to evaluate, they will unsubscribe or tune us out. 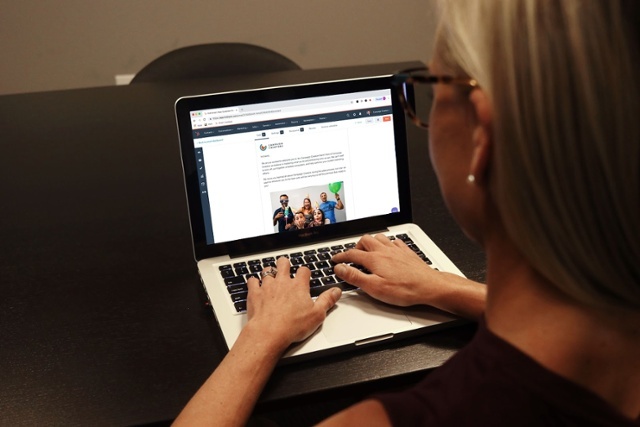 By using email to engage them in a more educational/helpful way, and supplementing that with more product-centric content on other channels that are not 1:1 direct communication, we can get the message across without being pushy. Ultimately, when a lead is ready, he or she will come back to the website. If middle-of-the-funnel nurturing does its job, it will lead leads back to HubSpot when the time is right for their company. We've set up several triggers that denote "high value actions" these leads take that let us know they're back, and possibly evaluating us. Many of these leads have been in our database for a longer period of time, and therefore may either not be assigned a sales rep or the assigned sales rep hasn't been able to connect. When leads set off a top-tier trigger (such as the lead viewing the pricing page), it will launch a short workflow with one or two very personal, simple emails addressed from one of our marketing executives. The goal of these emails is to reach out in a timely manner with the message "Do you have any questions? I'm here to help." and get those leads to respond directly, either by emailing us back (we monitor all email responses) or calling us. At this stage, we don't want to send them to another landing page with a form -- we want to cut out those qualifying bottlenecks and connect them to sales quickly. Not all triggers should set off email workflows -- a lead might get really angry really fast if all of a sudden they are getting five emails from us that are similar in nature. For these "Tier 2" triggers, such as leads viewing a specific product page, we nurture leads through sales reps.
To do this, we set up internal sales rep notification emails to let sales reps know when their lead has viewed a specific site page. In the email notification contains collateral related to that page, such as case studies, tool-specific guides, and articles. 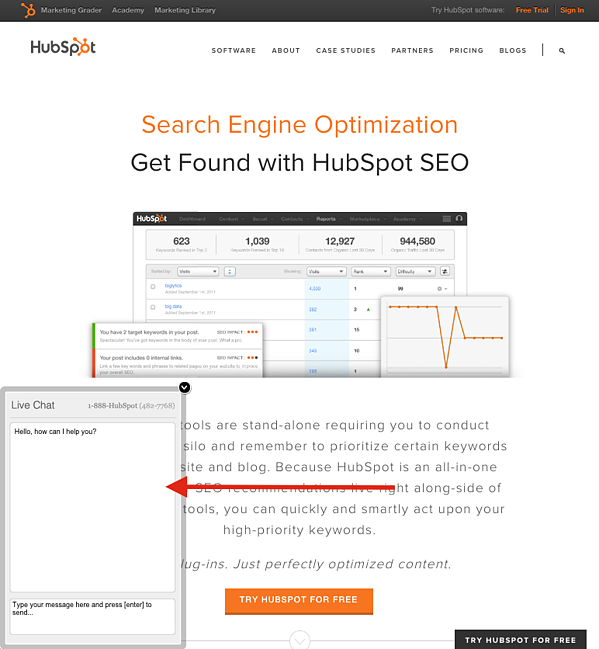 This allows reps to connect with a lead who may have ignored them in the past -- but because they are reaching out when HubSpot was top-of-mind and with relevant content, a lead may be more more likely to pick up that phone or respond to that email. In addition, we use our SnapEngage chat integration on the website that pops up for leads or unknown visitors -- an unobtrusive way to connect with a human if a lead so wishes. The same team that monitors responses from our emails and handles incoming phone inquiries manages the live chat. This is timely nurturing at its finest! For specific high-impact offers that are being promoted by multiple channels (for example, a website redesign offer being promoted on email, social, and paid), we'll set up a nurturing workflow to capitalize on the attention and move those leads down the funnel with topic-specific content. Content goes from educational to more product-centric as the workflow progresses. This nurturing isn't limited to new leads -- rather, this is additional nurturing a lead can get long after their first conversion. 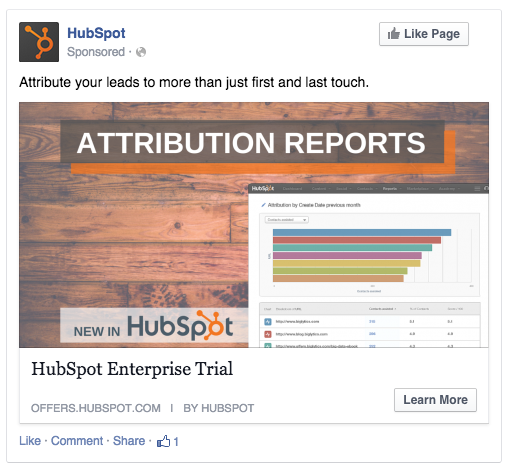 The idea is that while broad product-specific or third-party content isn't working to get these leads interested in HubSpot's solutions, topic-aligned content will. 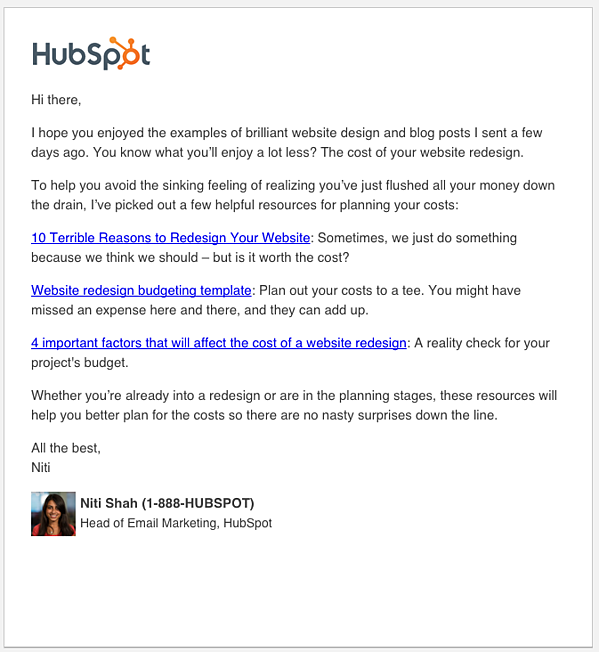 So for leads that download a website redesign checklist, they might be put into a workflow that sends examples of brilliant homepage design, followed by an email that asks "are you spending too much on your website resdesign? 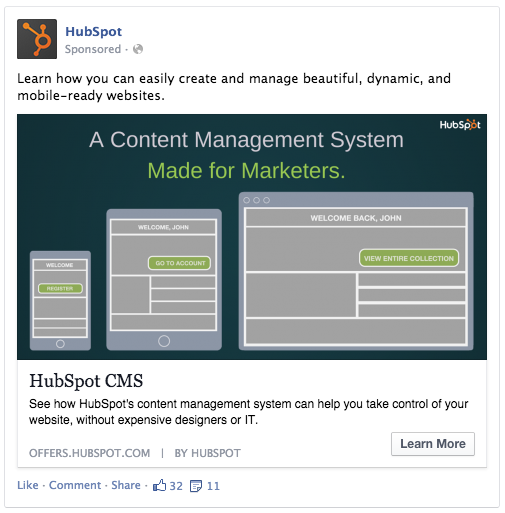 ", and then a link to HubSpot's COS product and a trial. We'll then supplement that workflow with a retargeting campaign aimed at everyone who downloaded that piece of content with a tie-in to the product, to amplify the messaging on multiple channels. These offer-specific nurturing campaigns do take up time to set up, so our rule of thumb is to only set them up for offers we are sending a lot of traffic to within a short timeframe. 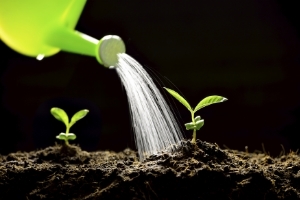 Lead nurturing is a lot more than just workflows that start after a lead's first conversion. 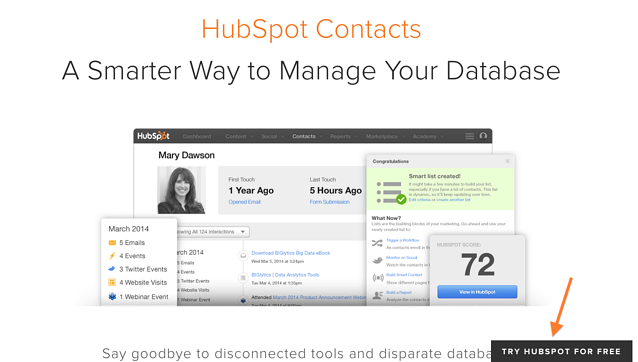 Nurturing spans different timeframes, lifecycle stages, and marketing channels. Putting together a playbook that utilizes your content and knowledge of your personas will help you most effectively reach the right people at the right time to move them down the funnel.